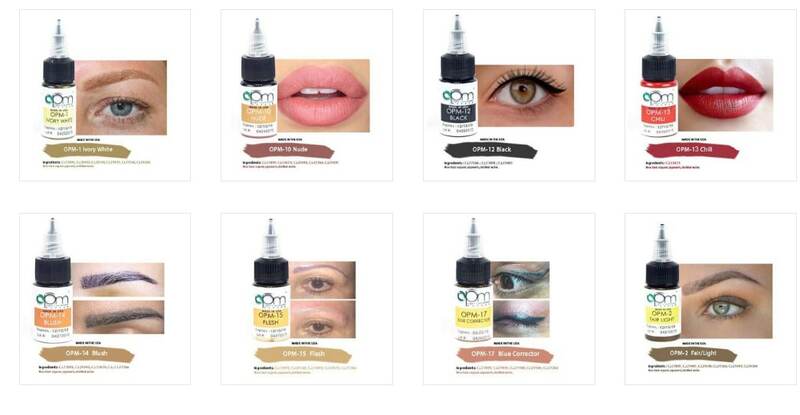 Organic Permanent Makeup Pigment – What’s the buzz all about? There are 2 types of pigment colour ingredients used for permanent cosmetic makeup. Over 95% of the major permanent cosmetic makeup pigment manufacturers use both Organic and Inorganic cosmetic colorants in their pigment. Permanent cosmetic application involves piercing the skin with single or multiple sterile needles utilizing various insoluble opaque oxides, lakes and iron oxide pigments to create a semi- permanent or permanent design or decoration. So what is the talk about organic pigments cause allergic reaction then iron oxide pigments ?? This new natural organic permanent make up pigments is the next generation of cosmetic tattooing. I have been doing perment make up since 1994, and most company use iron oxid pigments because it is a base matrials that was approved by the FDA as a safe food coloring material, however FDA never approved the iron oxid as an injectable materials. What is this nonseice that organic or mineral vegetable base pigments can cause an allergic reaction???? First lets see what is the meaning of a food allergic reaction, most fruit and vigetables that cause allergic reaction are raw, once they are cooked what ever causes the allergic reaction is no longer causes allergies, please see study facter about that. That being said that all orginc pigments before they becume pigments they go under extream heat so they can be form as a poweder and then there is a base to mix it with it so it can be liquid. In an allergic reaction, the immune system starts fighting substances that are usually harmless. This overreaction can cause a rash, itchy eyes, a runny nose, trouble breathing, nausea, and diarrhea. Allergies to insect venom. .
Allergic reactions are sensitivities to substances that come into contact with the skin, nose, eyes, respiratory tract, and gastrointestinal tract. That being said anyone can become allergic to anything. If we know where is allergies come from we would have eliminated, but because we don’t know where it comes from we can’t really say that allergies come only from any pigments. Formal document containing important informationabout the characteristics and actual or potential hazards of a substance. It identifies the manufacturerof the material (with name, address, phone, and fax number) and usually includes (1) chemical identity, (2) hazardous ingredients, (3) physical and chemical properties, (4) fire and explosion data, (5) reactivitydata, (6) health hazards data, (7) exposure limits data, (8) precautions for safe storage and handling, (9) needfor protective gear, and (10) spill control, cleanup, and disposal procedures. Mandated by the US Occupational Safety and Health Administration (OSHA), it is used also in many other countries in one form or the other.